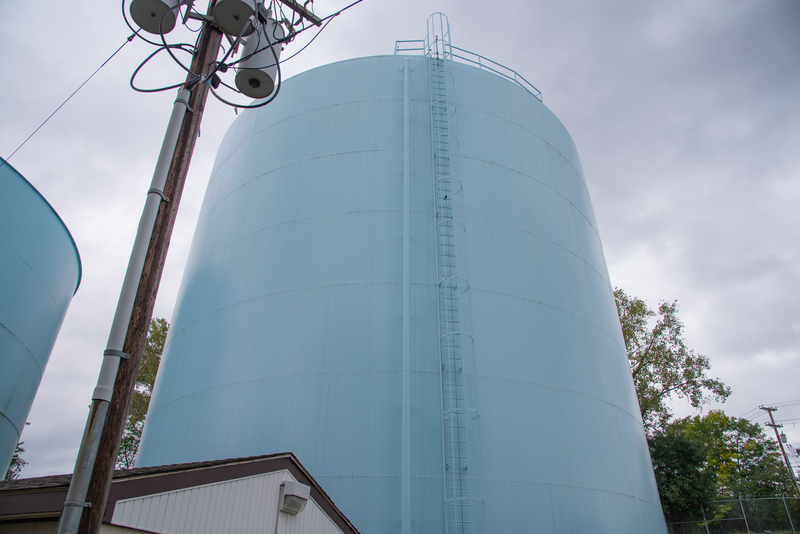 Water Storage Tanks – KC Engineering and Land Surveying, P.C. The Wallkill Consolidated Water District has eight storage tanks built between 1987 and 2000. The total storage volume is 11M gallons. All of the tanks are welded steel and cylindrical in shape. The tanks serve three pressure zones: low pressure zone, high pressure zone, and Washington Heights pressure zone. KC provided the conceptual upgrade plan, design, preparation of contract documents, and engineering services during construction and startup. Washington Heights (Washington Heights pressure system): two 1M gallon tanks (45 feet diameter and 82 feet high).